Christel Lake Lavender – Lavender Farm in Ontario open to the public. Christel Lake Lavender is located just North East of Toronto, Ontario, where we grow many varieties of lavender and produce a range of lavender products. Welcome to our Lavender Farm! Christel Lake Lavender Farm, located northeast of Toronto Ontario, is set in peaceful farm country. Stroll among the beautiful lavender plants and around our spring-fed lake. Children will enjoy our 50-foot play set, swings and trampoline. Let us take you on a golf cart tour. Your hosts Christel and Gert love to share our place with couples and families. Dogs are welcome. Please call ahead if you wish to have a picnic or to arrange a larger group visit. A group rate is charged for groups of 10 people or more. We will be opening for the 2019 season on Friday, May 17th. We will be open Fridays, Saturdays, Sundays and Holiday Mondays from 10 am to 5 pm all summer until Labour Day September 2nd. If you would like to visit at other times, please contact us and we will open for you. Call us at 905-985-9060 or email us at christel.lake.lavender@gmail.com. Please note: Due to an illness in the family we will not be exhibiting at the the Peterborough Garden Show this year. All should be fine for our farm and gift shop opening on May 17th. On our lavender farm near Uxbridge and Port Perry, Ontario, we grow many varieties of lavender. 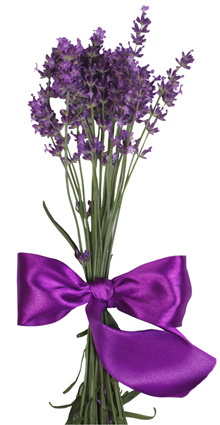 We also produce lots of interesting lavender products, available in our Farm Store on site.